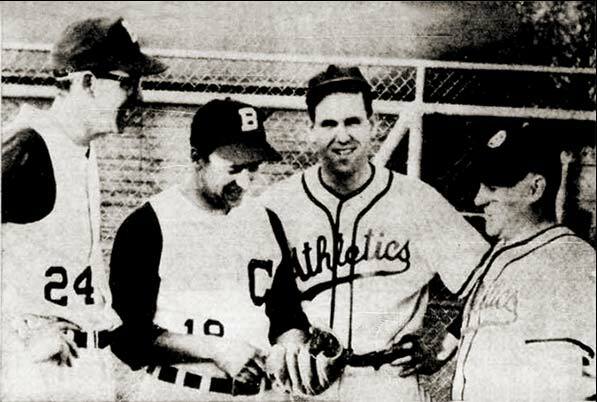 Above left - In the 1958 Winnipeg Senior League season opener at Provencher Park at St. Boniface, the defending champions thrilled a home crowd of some 1,500 with an 16-1 trouncing of the CUAC Blues. 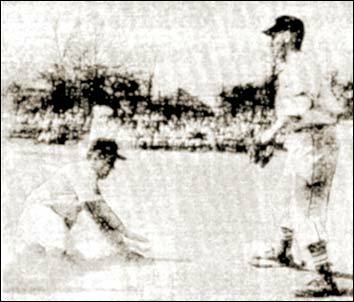 Here, St.Boniface catcher Gerry Brisson safely slides into third as the Blues' Mark Flynn awaits the throw. Brisson led the winners with a two-run homer and a pair of singles. 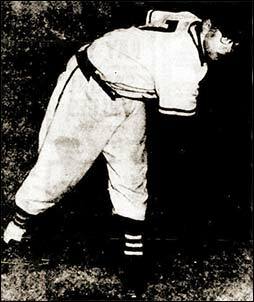 Above right - right-hander Bruce Smith of the Brandon Athletics of the South-Central League who fired a no-hitter on June 10th as the A's wrapped up their home schedule in an otherwise down season.